Most honeymoons, Mary knows, do not start this way. Lying outside on the sloping attic roof in Edinburgh, listening to the soft snores of her groom, she realizes that Rudy’s number one rule, “adapt,” once again reigns. The two are a picture of contrast. As Mary was being born, Rudy was a new American citizen flying US Air Force missions over his homeland, Germany. His father was a seaman, hers an accountant. And when this marriage of opposites goes traveling, their stories combine laugh-out-loud humor with poignant lessons from the odyssey of a World War II veteran. So start packing—you’ll want to join these two. Mary K. Jensen, PhD is a recovering grants writer. After retiring as Professor Emerita from California State University, Chico, she ventured into her attic and pulled out boxes of trip diaries—raw material for her memoir. Jensen earned her master’s degree at Loyola Marymount University and her doctorate at the University of Oregon, where she was an analyst and author for the federal research clearinghouse ERIC. With experience in teaching, school psychology, administration, and teacher preparation, she has been a popular writer and conference speaker, skilled in translating research findings to school practice. 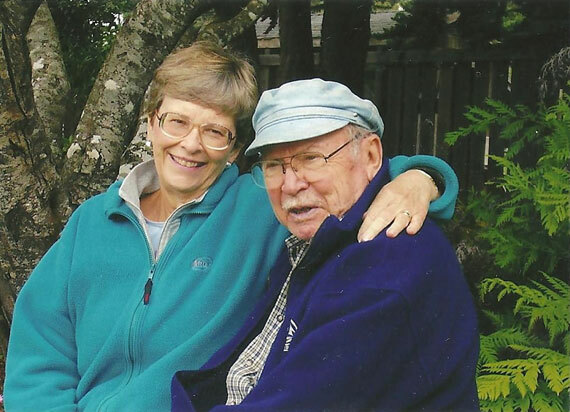 She is a survivor—of cancer twice, and of decades of travel with her irrepressible spouse. She lives in northern California where she relishes her writing group, book clubs, poetry group, walks and friendships. Traveling in the days before cell phones and Google maps left a lot more room for the unexpected, both good and bad. This was especially so if you were traveling with someone like Rudy whose rules for travel were relaxed in the extreme: adapt, some kind stranger will appear. His wife’s rules are diametrically opposed: remain alert always; expect the worst. Both kinds of travelers will enjoy this memoir, adventuring around the globe with Rudy and Mary, getting into and out of hilarious situations—ever had to explain to border guards with whom you have no common language that Tampons have nothing to do with dynamite? Emotion deepens with the trips that explore Rudy’s past as a German born American bombardier in Europe in World War II. It’s true: you’ll laugh, you’ll cry. Enjoy. A set of rules for life, by way of a delightful travel narrative. A book that will make readers want to pack their bags and catch the first flight to somewhere far away. ...A fun and tender memoir. As often as Rudy's rules caused trouble for his anxiety-riddled wife, they also led to astonishing moments of wonder, especially at the kindness and generosity of strangers. Along the way, Rudy's own remarkable story emerges: born in Germany, he became a U.S. citizen during the war and volunteered for air duty, flying missions as a gunner against his homeland. 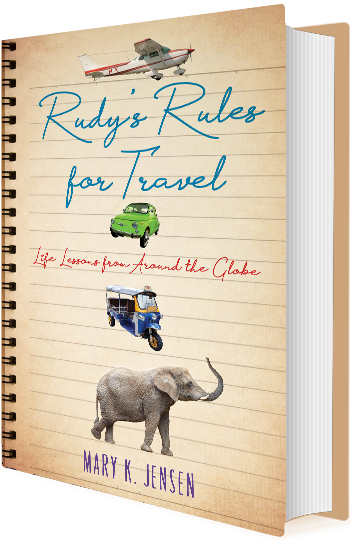 From exotic destinations like Bali to more personal excursions to uncover family history, Rudy's travels are imbued with his unceasing optimism and boundless enthusiasm, leaving the reader convinced that his rules are well worth following.